The French Sure Love Their Musicals | Critical End! 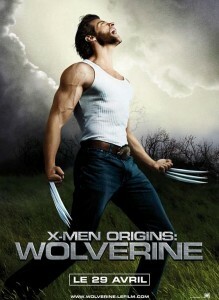 Yes, ladies and gentlemen, this is the actual French poster for the upcoming Wolverine. Any wacky captions you may have will be greatly appreciated. This entry was posted on Friday, February 27th, 2009 at 6:42 amand is filed under . You can follow any responses to this entry through the RSS 2.0 feed. Both comments and pings are currently closed. ALL THESE KNIVES, BUT NO SPOON!!! HOW WILL I EAT SOUP DU JOUR!!!!! Proving once again that I have terrible taste in everything, I like it.